The list is not arrived at after a comprehensive survey of the entire film history and is only a reflection of the author’s tiny acquaintance with the cinema of the region and hence the list is undoubtedly personal. It’s real sad that none of Gemini Ganesan’s (hailed the “Kadhal Mannan” aka “The king of romance”) movies could make it to my list, the only reason being ... I haven’t watched any of his films except “Then Nilavu” and that too as a kid. And, some of the iconic couples who won’t be seen in the following post for the same reason are, MGR – Saroja Devi, Sivaji – Padmini, Gemini – Vyjayanthimala, Gemini – Savitri etc. And, No prize for counting the number of times, the word “Chemistry” is used in the post. So, What’s this Iconic couple stuff, anyhow ? - Ever since cinema dawned as the principal entertainment medium for people, “Love” seems to be the one common aspect that both the film makers and the audience are obsessed with. From the days of MKThiagaraja Bhagavathar & PUChinnappa till “Vaaranam Aayiram”, romance-themed movies have always had a remarkable shelf life and entertainment value. And naturally, when a film captivates the audience, its protagonists or the lead actors stay with us. Art imitates life or life imitates art ... No, not a debate ... but there shouldn’t be any ambiguity on the fact that beautiful stories inspire lives (Be it any form of artistry – poem, novel or cinema). So, the following lengthy write-up is a result of my decision to relive and revive some of the wonderful on-screen couples who entertained us all these years. Musicals - Our brand of cinema is very different from the other world cinema in a way that almost all our films are “Musicals”. Yeah, you can count the songless films in our film history, probably with the fingers of your hands. Songs are always seen by the west as needless hindrance to the flow of the movie – but honestly, there’s no underestimation of the importance of songs to our cinema. Our culture is distinctively different that, stage-plays and “Therukkoothu” were a part of our lives earlier and so when cinema took over at later stages, songs can’t be ruled out. There were instances when our cinema had more than 70 songs and that almost whole of the narrative is expressed via musicals. But on a purely personal note, item numbers and introduction songs are something that should be shown the red-card, I feel. So, why is this all said now ? ... Look down the following list and you will realise the importance of the melodious romantic songs and catchy duets in substantiating whatever is not said via the dialogues. So, Into the list now ... (In no particular order ... The numbering is done only to provide an ordely view). Kamal and Sridevi – should be the favourite movie couple of any 80s film viewer. Starred in more than 20 movies together, they define everything related to this topic – attractive, elegant, alluring, charismatic and what not. “Varumayin Niram Sigappu” and “Meendum Kokila” offer good examples but there’s not a better example than “Moondraam Pirai”. Still considered a dream-role for any heroine, Sridevi’s performance was mindblowing. And then there’s the famous climax sequence which fetched Kamal a national award. The song “Kannae Kalaimaane”, the last one penned by Kannadasan, should summarise everything about the film. They never looked into the eyes, they never sang duets, they never proposed and above all ... they barely talked to each other in the movie. Yet, the impact this on-screen romance created is still unparalleled & fresh and will continue so, across generations of viewers. While Murali’s “Unproposed love” is referred to in a lot of later movies, Heera created a style statement by placing the rose at the side of her banded hair. Ilayaraja’s BGM let romance flow throughout the film. Mohan represented the elements of an ideal husband with all his good-to-be behaviours and Revathi was caught between her old love & the new marriage. The portrayal of their love boiling down towards each other was awesome. Also, the Karthik – Revathi track in the flashback narrative featured an implicit & natural chemistry between them. The later is a “Haikoo” while the former is a charming "poetic nebula". Ask your mom her favourite movie and there will be a very good probability that the answer is “Mouna Raagam”. The movie premiered on the day of their wedding and this was the last time we saw the pair together on-screen. Thanks to a lot of movie appearances of the couple before this film that they appear to have a natural affinity and the chemistry appeared near-intrinsic. The Surya-Bhumika track in the movie will try to over-shadow this one but not so convincingly. Driven by desperation to share & discuss music, JKB (Sivakumar) finds an ideal companion in Sindhu (Suhasini). Suhasini’s performance with all her proactiveness, enthusiasm and genius of music, always looked deserving the National Award she won. This is not about love and bond – but about companionship. Though not completely platonic, the movie travels through a very thin line between professional companionship and personal intimacy. Can very well be hailed the biggest debut movie for an actor after Sivaji Ganesan’s “Parasakthi”, Paruthi Veeran launched Karthi on a real grand scale. Being truly regional, the film won numerous accolades at National (Best Actress – Priyamani) and International film festivals as well. The film can be justifiably compared to the arrival of “16 Vayathinile” in 1977 for its freshness and cult value. The film was a box-office blockbuster that the audience could feel the smell of the red soil and the intensity of a very raw romance in the A/C cinema halls. 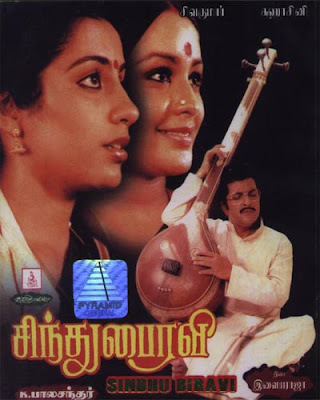 Toned camera work and beautiful serenades – the film definitely produced a perennially romantic couple in Veeran and Muthazhagu. Practically speaking, Sivaji Ganesan possessed every material in him to become a world class method actor. But our cinema only fed him with roles that demanded loud deliverance of lengthy monologues and groomed him into a overacting thespian. And, a few exceptions of this would include “Mudhal Mariyadhai” and “Devar Magan”. “Mudhal Mariyadhai” portrayed a platonic relationship between an aged village man and a young boat rower. Legendary Sivaji Ganesan just presented his character without any overacts and flamboyant Radha proved her acting prowess in the midst of iconic Sivaji. The songs “Vetti Veru Vaasam” and “Poongaatru thirumbuma” did ample justice in the build-up of this beautiful relationship on-screen. The movie’s songs found mentions in many later movies whenever a mature man-young girl relationship needs to be portrayed. This is one of my favourite movies – An unsung movie it is, it’s all about relationships. All the three romantic tracks involving Arjun & Jyothika, Ramesh Arvind & Meena and then Arjun – Meena were interesting. The movie’s song tracks had a uniqueness in the way they were written, covering all the five elements of nature – Water, Earth, Fire, Sky and Air. The protagonists were absolute strangers and the way they were drawn towards each other – poetic. The movie in its course portrayed various stages of a relationship starting from absolute outsiders through companionship, friendship and love. Panneer Pushpangal, very boldly treated a usually overlooked but eternally present phenomenon – High school romance. The movie brilliantly delineated the hostel life at a convent, pointless puerile jealousies and the most characteristic aspect of the age – Immature mind and Infatuation. The movie didn’t actually required a chemistry between the lead actors and hence naive performances from Suresh and Shanthi never looked bad. After all, they were playing school kids in the movie. Prathap Pothan played a school teacher and his performance is quite acclaimed. “Anandha raagam” and “Kodaikkaala kaatre” were brilliant tracks from the movie. This particular sequence involving Kamal & Rani is very short in the movie – less than 20 minutes considering the length of the movie that runs for over 200 minutes. But that couldn’t resist me from including this in my list. The scene opens with Rani’s eyes through the door-lens, the way she speaks tamil, the piano with a Kamal - Rani picture over it, the Bengali poetry and last but not the least - “Nee Paartha Paarvaikkoru Nandri”, an absolute musical gift from Ilayaraja - Everything you see and hear is romantic. And, I have seen this in many a movies - The piano - whenever it is shown, will be a metaphor for love or a romantic relationship. Catch this at Nammavar’s “Poonguyil Paadinaal” also. So, the next time you see the lights on a piano – Expect a romantic tickle there. Wielding the angry young man looks and image, Rajini’s film career is mostly studded with action oriented mass entertainers. Mahendran offered a glimpse into a very different Rajinikanth – soft and lovable. Sridevi is a singer and Rajini likes her music and loves her. “En Vaanile ... Orey Vennila” – the way the song unfolds and progresses leaves you mesmerised. And Yeah, there was a piano here also – Read the “Hey Ram” description above. One of the rare kind of movies that explored relationship complexities. Vinodh (Dhanush), out all afresh from his church school couldn’t quite identify the affiliation he has with his classmate Divya (Sonia) at college - Is it friendship, love or lust ?. Divya looks at him as a friend but Vinod, driven by possessiveness just couldn’t let her go off him. Dhanush with those boyish looks and insane behaviour, made full use of the acting opportunity and won a lot of acclaim for the performance. And the movie brought the gorgeous Sonia to the tamil screens. The lyrics of "Nenjodu Kalandhiru” pinpointingly presents the confusion and complexity of the relationship. The tracks were chartbusters and provided an elevated feel of the film. T Rajendar’s first directorial venture, the film depicted “One sided love” in all its colours. Though the lead actors weren’t noticed much, the film and its songs were very famous for the way it treated the tragic face of a romantic relationship. Set in a college backdrop, the film will only present a boring endeavour to an audience of our generation, the only reason being the dismal performance of the lead actors. No emotions, No modulation in dialogue delivery – they just speak the lines aloud. Nevertheless, “Oru Thalai Raagam” is a very important film for two reasons – One, the film is still used as an image of “love failure” and two, its proven boxoffice abilities. The film’s soundtrack featured seven songs all sung by the male protagonist. Considered the most personal movie of Gautham Menon, Vaaranam Aayiram provided the much needed freshness in our cinema’s portrayal of romance. Invariably liked by everybody, the Surya – Sameera conversation in the train, Surya’s meeting at Meghna’s (Sameera) home and then the crispy US narrative – the sequence provided an eventful and memorable romantic presentation classily different from the usual dull & routine depictions. The fervour of the on-screen romance was so deep that the film could successfully connect both the ecstatic romance of the couple and the excruciating pain of love, to the audience. Credits are due to Harris Jayaraj for the magic this movie created. For the most part of his career, K Balachander remained an iconoclast and always seemed interested in blasphemic and taboo breaking relationships. This particular relationship portrayed in “Pudhu Pudhu Arthangal” was very interesting that it will just begin without a basis, proceed seamlessly driven by a wild passion - more like a oarless boat before it will face an abrupt end at the climax. But, the flow was poetic and the relationship was lyrical. Accompanied by mellifluous Ilayaraja numbers (especially “Keladi Kanmani ... Paadagan sangathi”), the movie’s song picturisations were engaging. This S J Suryah venture still remains the prototype of a lot of later movies that present “Ego in romantic relationships”. It had a very clear screenplay expressing one of the most easily-seen but complex-to-explain facets of any relationship – ego. Screenplay played the hero of the movie but Vijay-Jyothika sequences had a pleasant substance and that material undoubtedly carries the film forward. The very famous “Jyothika Iduppu” scene and Mumtaz’s presence provided an enjoyment stimulus and electrified the audience. Perennially occupying the gossip pages of every tamil magazine during the early 90s, their on-screen romances as well as off-screen antics received a lot of attention and media glare. Prabhu’s performance with his well enacted childishness & ignorance was received well and the movie was a big-break for Khushboo – and the couple undoubtedly had that enviable sizzle associated with them. The movie’s boxoffice success was phenomenal and Khushboo’s arrival to the fore paved the way for the import of a lot of fair-skinned ladies from the North (to be cast as heroines) during the later stages. Dreamy and delightful urban romance, Alai Paayuthe launched Madhavan as a sensational lover-boy to the tamil cinema and Shalini, with all her unpretentious girl next door looks and homely behaviour - the couple shared an instantaneous chemistry. Definitely not the typical Maniratnam style movie, the film had a non-linear narrative structure and Rahman’s wonderful BGM & songs were instrumental in providing a wholesome romantic experience. The conversations between the two lead actors, specifically the one at the local train ("Aana idhellam nadandhudumonnu bayama irukku") were very engaging and memorable. Guna is the story of a man mad(e) in(with) love. It presented a celestial love story where the male protagonist treats his lover, equivalent to a goddess (Abhirami). It had an ugly-looking Kamalhaasan in love with the angelic Roshini (real sad that she is not seen on-screen after Guna). It had a very different perspective of love – It’s depicted as a supernatural feature and a lustless bliss. “Kanmani Anbodu” and “Guna caves” still speak the impact, the movie created. But, the film which opened on the Diwali day met “Thalapathi” at the boxoffice and had a very poor run across the state. Love seems to be the only impetus that manoeuvers our cinema ahead from time to time. “Every kind of love has been dealt with ... I should come up with a radically new and creative depiction of love” thought Agathiyan and the result was “Kadhal Kottai” - which had the lead actors who haven’t seen each other, in a romantic relationship. The idea was novel, the movie was a grand success and Agathiyan was gifted with the “Swarna Kamal” for the best director (National Award). When there’s no scope for dialogue deliverance across the couple and duets together – how to convey and reciprocate love ? ... Letters did it and the sweetness of the song “Nalam Nalamariya Aaval” conveys a lot. When Surya (Ajith) and Kamali (Devayani) meet at the railway station (yet again !) at the climax, you exhale in relief and send out a happy sigh. Some other entries that narrowly missed the list are, Jeans – Prashanth and Aishwarya Rai, Bombay – Arvindsamy and Manisha Koirala, Alaigal Oyvathillai – Karthik and Radha, Keladi Kanmani – SPB and Radhika, Kilinjalgal – Mohan and Purnima, Poo - Shrikanth and Parvathi, Pudhiya Paadhai - Parthiban and Seetha, Idhyathai Thirudathey - Nagarjun and Girija, May Madham - Vineeth and Sonali. So, the cruise gets over here ... Get out of the stream. Pour in your comments on the post. A very nice compilation. I should say that the words chosen and moreover the images chosen in this blog just brings that movie's environment around us. Very nice work on the whole! You have done a very nice compilation and I have to agree with you at many times of the post.. Though I just did not agree on Suresh part, I prefer nadiya to be there. But even this is individual. :) Thanks for letting me onto a nice post!